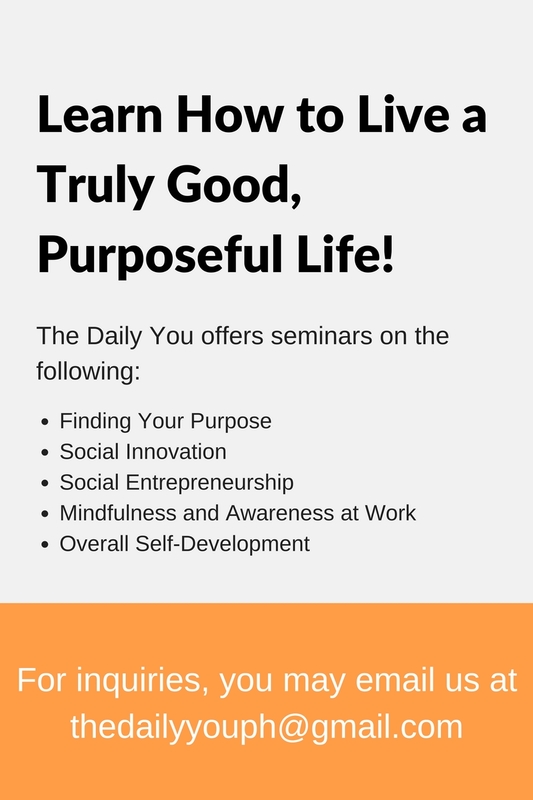 Key Takeaway: Living a conscious life of purpose involves high principles or standards, and adhering to them. However, we run the risk of alienating others – and even ourselves! – by too strict an adherence or enforcement of said standards. We have to remember to be kind and understanding in accommodating others – and even towards ourselves! To live a life of responsibility and consciousness means to have a very firmly established set of guiding principles that are rooted in something much bigger than us. We are also expected to live by said principles and have them – and not peer pressure – dictate our actions. However, there is a dangerous – and very real – potential consequence of this. And sadly, I see it a bit too commonly. Particularly if we are visionaries, we’d set our standards even higher so that they are in sync with what we visualize. Or, simply, if we were trained by someone with sky-high standards (like a perfectionist parent), we’d (un)knowingly become the same. But when it comes to dealing with others, especially those who are not as intellectually or mentally blessed at the moment (or at least they’re still intellectually or mentally untapped), those standards may, instead of helping them develop and grow, actually and ironically stunt said growth. One’s standards may be so high that even if they themselves can adhere to it, others cannot – and one puts the blame on them for lacking the initiative, or being lazy. Consider a teacher whose level of strictness or pace of teaching is such that his students are left behind and struggle – even though they try their best. The student is blamed. Or a boss who demands so much from his employees and does not realize that the employees are doing all that they can to keep up – and still fall far short of the boss’s standards. And of course, the employees get blamed. High standards are definitely good and give us something to work towards – I myself am an idealist-optimist. But we also need to be kind to others – to empathize with them, to understand them, to put ourselves in their shoes. We cannot keep enforcing our standards or principles strictly and expect everyone to have quality results – that is simply not how things (or people for that matter) work. If they are being left behind, it is NOT always their fault. Some might be genuinely lazy, yes. But not EVERYONE. Unfortunately, some people over-generalize and attribute it to sheer laziness, especially among the very young today. Being kind and understanding does not mean lowering our standards – in fact, it precisely means maintaining the level. But we show that while we have high standards and principles, we are also considerate in our relationships with others and have a genuine desire to help them grow or develop. It is about becoming more flexible in enforcing the standards – the same way that a national law, while unchanging, is enforced differently according to the needs and capabilities of its constituents. This is why dictatorship and authoritarianism fail to achieve social development’s objectives, because they are too stiff and unyielding to the concerns of others. Even God is kind and flexible. If God enforced His standards strictly – standards of which, by the way, are literally impossibly high for us – none of us would go to heaven when we die, and all of us would be sent straight to hell. But God knows that His standards notwithstanding, we need a transcendent aid to even try and bridge the gap to those standards – the flaming sword-yielding angel between us and the Garden of Eden. God is merciful and compassionate, and forgives us our sins (which, by a strict interpretation of His law, already warrants the death penalty). In fact, His love for us is such that He sent His only Son to actually take the brunt of the consequences for us, so that that gap between heaven and earth can start being repaired. Still, we are encouraged to reach for those standards – an active co-participation in the saving grace of Christ that is the fruit of our faith in Him, and manifested more concretely in the lives we lead. We have to be kind to ourselves as well. Simple – and smart – living is about keeping things as such for us as well, and if we let our standards and principles dictate us to a point that we ourselves cannot keep up, then it may be time to evaluate and reflect on how we run our lives. Constant stress and frustration stemming from a perfectionist attitude is a definite sign of this, and may be a call from your Higher Being that it might be too much already. Tags: community, compassion, flexibility, guiding principles, high standards, kindness, love, management, mercy, principles, reflections. Bookmark the permalink.